Lately, Sony has taken a Skittles-esque liking for more PSP colors. Japan just got the new Carnival set and a lilac system is heading to North America soon. And, as it would appear, a lime green PSP is also in the works. 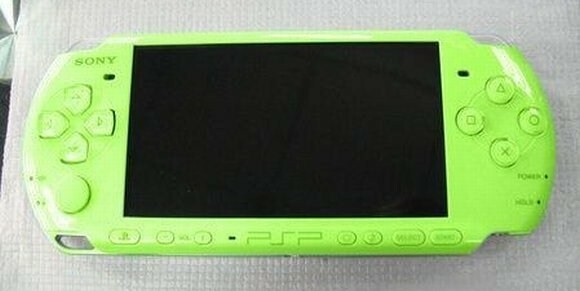 According to Chinese website VGSky.com, the lime green PSP-3000 model pictured above was produced in a Sony factory in China. It’s currently unknown whether this specific color is being mass-produced or just a prototype. Japan already has 12 different PSP color variants released on the market, and North America will soon have six. Where will this new color go, if it is indeed legit?